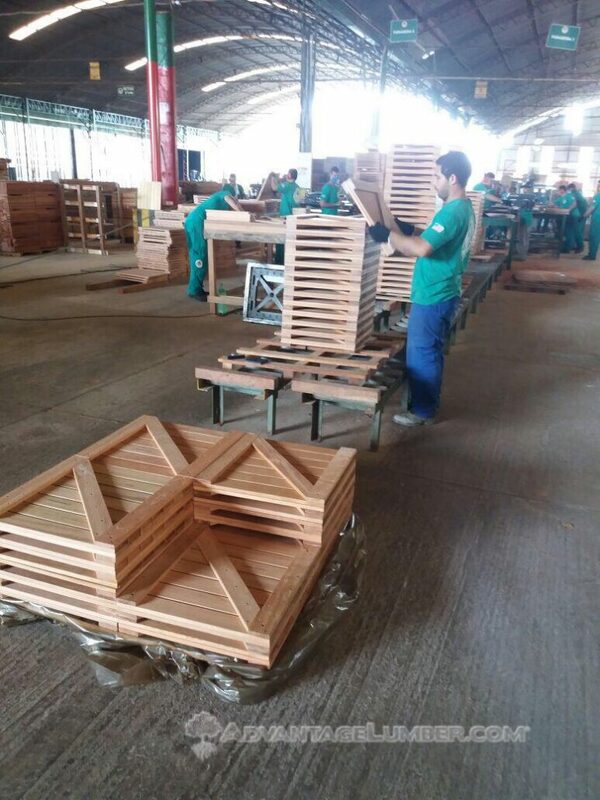 Our Brazil plant started manufacturing Brazilian Cherry deck tiles to add to our existing deck tile line. Brazilian Cherry is an extremely dense and durable wood that will last for many years and offer low maintenance just like all our other exotic hardwood species. 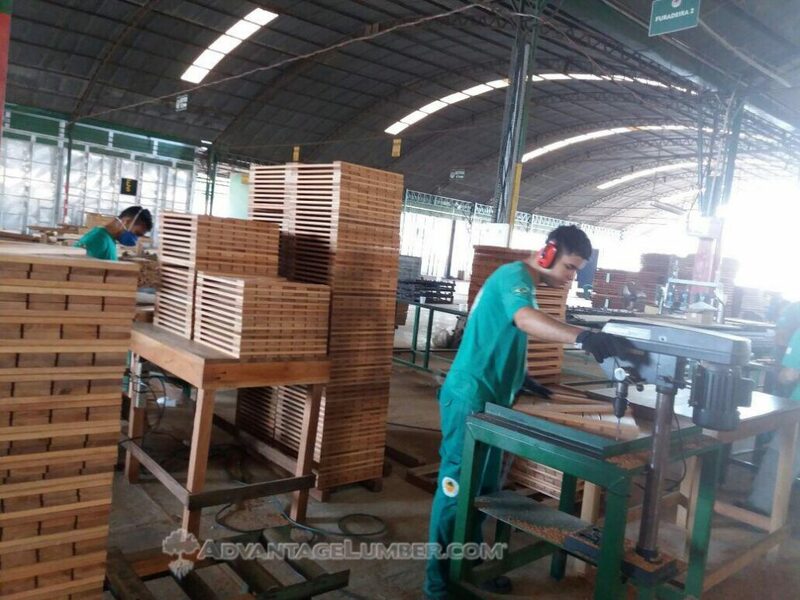 Like many of the Brazilian species Brazilian Cherry will start out lighter in color and after a short amount of time in the sun the wood will darken to a rich red cherry color. Our deck tiles are constructed with solid wood backing which is stronger than most of the plastic backed tiles on the market and we only use stainless steel screws in all of our tiles. 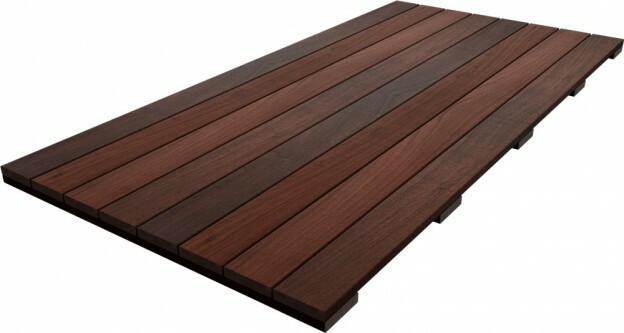 Our deck tiles are so durable you can place them directly over an old concrete patio or on a rooftop deck. 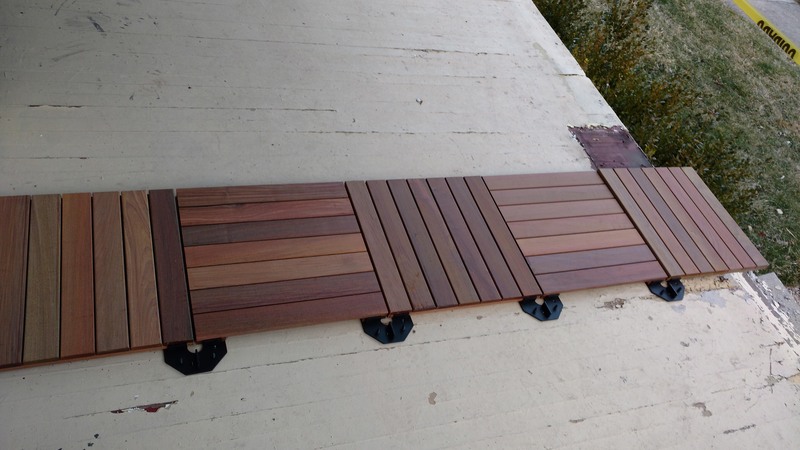 This entry was posted in Decking Tiles, Do-It-Yourself, Mill Operations on August 16, 2018 by theipeguy. One of our customers is working and living on a remote job site in Texas. He setup his camper as a home away from home, however when we wanted to grill after work and relax after a hard days work he found the desert like ground less than appealing. He wanted an outdoor living area that was comfortable enough to walk on barefoot but portable like his camper. 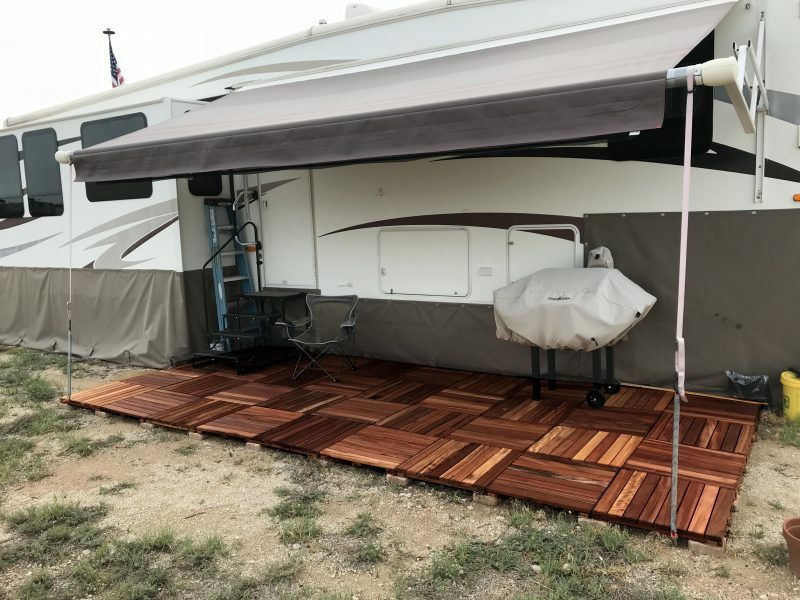 After searching online he found our deck tiles and thought they would be the perfect solution for his portable camper deck. He used 36 of our 24″ x 24″ Tigerwood deck tiles and used 6 x 6 stone pavers he purchased locally for a sturdy base. He simply shimmed and scraped the ground as needed to make everything level then placed the deck tiles on top and snapped them together with about 36 DeckWise tile connectors. He said it was very simple to install and he wanted to share this picture with us because he was so thrilled with how it turned out. The tiles and connectors needed for the job were just over $900. No project is to big or small we have four stocking factories in the US and two in Brazil to meet your shipping needs no matter how remote your location or the size of your job we can get it there. This entry was posted in Decking Tiles, Do-It-Yourself, Outdoor Living on August 14, 2018 by theipeguy. Years ago, many homes in the Northeast had front porches built directly over the basement foundation. The only thing holding back the cold snowy weather and the rain was 1 inch thick tongue and groove pressure treated porch decking that was painted to seal it from the elements and keep the water out. This is not a good idea. It doesn’t take long for the paint to peel, and seasonal temperature changes will cause expansion and contraction, leaving hairline gaps that break the paint seal on the tongue and groove line. When bad rain storms hit and the wind blows just right, the covered roof offers little protection and the rain leaks into the basement. During the winter months, blowing snow sits on top of the porch, then on slightly warmer days it melts and leaks into the basement. The water leaking down saturates the wood between the tongue and groove. The tight space blocks air flow and keeps the wood damp, leading to rot and decay. This avid DIY guy and property investor in Buffalo, NY was forced to paint the porch every year and clear off snow throughout the winter. This was a lot of maintenance and just not always possible. When he bought the property, he knew it would all need to be redone. He started searching for solutions to create a water proof porch surface that would not rot and continuously leak into the basement. He found the only products really made for this solution were special exterior vinyl sheets that could only be purchased and installed by certified installers. These sheets didn’t even come wide enough to cover his entire porch, which meant seams would need to be thermo-welded with a special heat gun. Our customer found the average installation cost for these systems was $4,000 – $5,000, and quite frankly he did not like the look of these products. He said they just looked like the cheap flooring sheet goods you put on the interior of your house. In addition, he was having a hard time trusting the longevity of these products since they haven’t been around that long. He also worried that the seams would eventually fail or tear as shoes caught on on them. It reminded him of the composite decking products that have had so many product failures and class action lawsuits. To top it all off, as a DIY guy who takes pride in doing quality work himself, paying someone that kind of money to lay down some sheets and essentially melt them together with a heat gun was like rubbing nails down a chalkboard for this home owner. 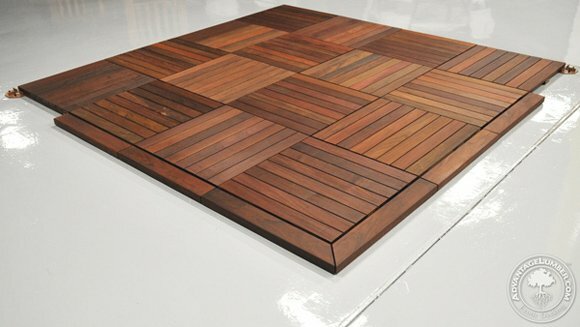 Here’s the solution our customer came up with: our Ipe deck tiles. They look much better, allowed him to save a lot of money by doing it himself, and kept everything rot-resistant and waterproof. He decided he wanted to have a continuous 6 inch Ipe board screwed into the outer rim joist and framing the entire porch. This way the tiles could float without any penetrations in the ice and water shield. Once he accounted for the width of the picture framed border, he cut the tiles to fit and decided to put the cut pieces against the house so there would be full tiles on the outermost edge of the porch. 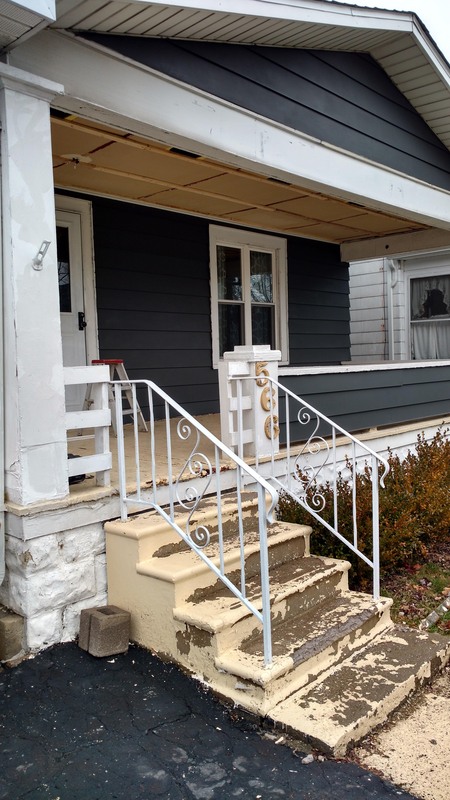 He fixed a few rotted spots in the original porch by cutting them out and replacing them with one inch thick pressure treated wood, matching the existing material. 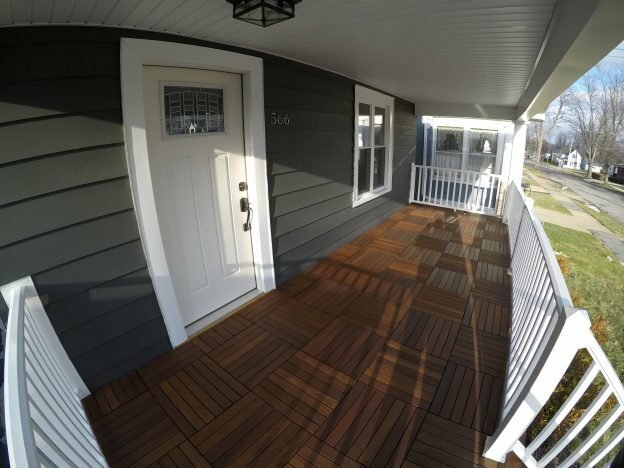 Next he laid ice and water shield over the entire porch according to the manufacturer’s requirements, overlapping the ice and water shield appropriately and keeping everything water positive – starting at the outside edge of the porch and overlapping the seams as you work your way toward the house. Now that the entire porch was waterproofed, it formed a suitable foundation on which to float the tiles. One important and obvious note to consider: make sure your front door will clear the tiles when floating on top with the deck tile connectors. In this case our customer had enough room, but he was planning on replacing the old outward-swinging door with an inward-swinging one, so it wouldn’t matter anyway. We custom milled a 2 x 6 board to match the thickness of our 20 x 20 Ipe deck tiles. This board served as the picture frame for the deck tiles. 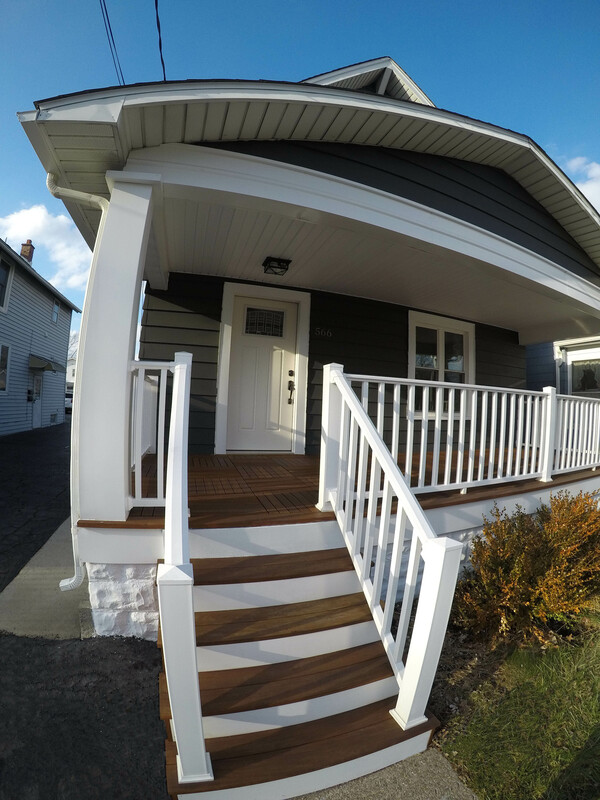 He also replaced the old crumbling concrete steps with Ipe decking, white vinyl risers, and vinyl railing. Our customer said he’s been absolutely thrilled with the results, and the deck tiles have exceeded his expectations. He said the installation was a breeze since they just snap together with the DeckWise tile connectors. This picture is at the end of the first winter in Buffalo (you can see the snow pile in the back at the curb). The deck tiles still look amazing and he still can’t believe how much money he saved opposed to those ugly vinyl sheet products. He needed 65 of our 20 x 20 Ipe deck tiles, which cost him just over $1,000. 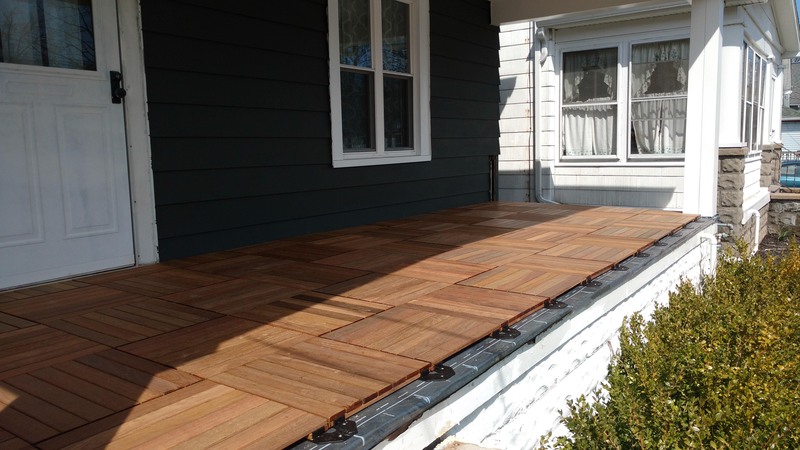 He purchased the railings from a local building supply store for around $700, and he got the Ipe deck boards, DeckWise tile connectors, and vinyl products for his risers and skirting. In the end, he completed the project for around $2,000. Everyone in the neighborhood has complimented the new look – even the pizza delivery guy! 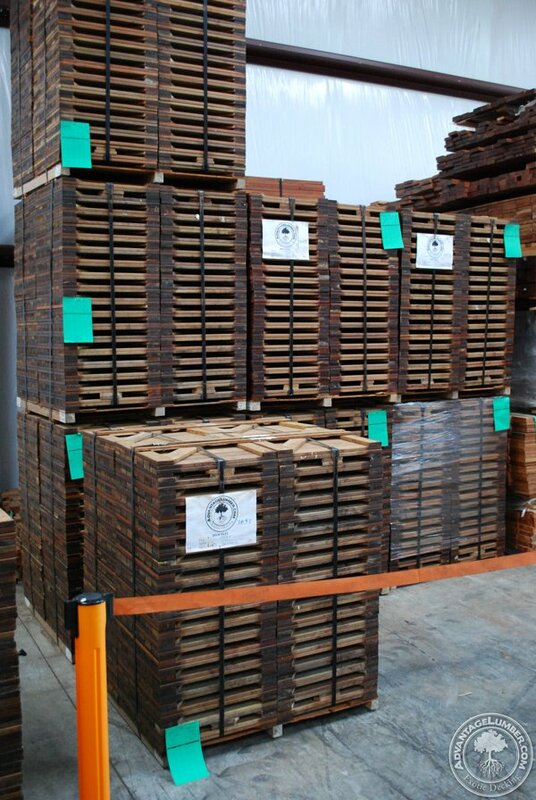 You can purchase deck tiles directly from us and we’ll ship them to your house or job site. No job is too big or too small. This entry was posted in Decking Tiles, Do-It-Yourself and tagged Deck Tiles, diy, Ipe Decking, Ipe Wood, Porch, Wood Decking on July 18, 2018 by theipeguy. 24×48 Advantage Deck Tiles™ Are Here! Our Advantage Deck Tiles™ are one of our most popular outdoor products because of their easy installation and unique look. The Deck Tiles came as a result of a need to cover a balcony or a concrete patio, something the majority of backyards already have. Without wasting days or weeks of effort, homeowners and renters can have the beauty of an all-natural hardwood deck in a matter of hours. 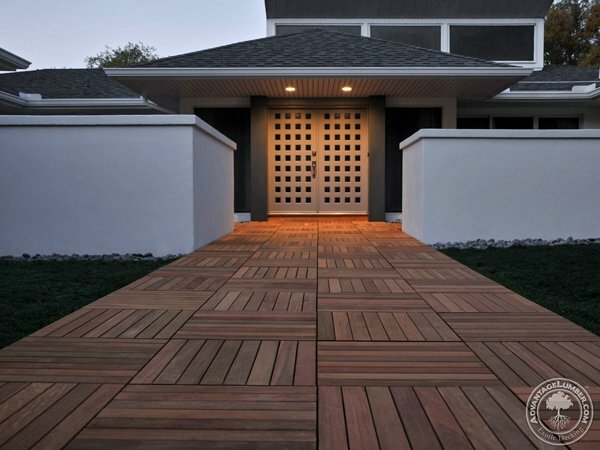 This entry was posted in Decking, Decking Tiles, News and tagged 24x48 deck tiles, 2x4 deck tiles, Decking Tiles, ipe decking tiles, wood deck tiles on March 3, 2016 by Mr. Ipe Hardwood. 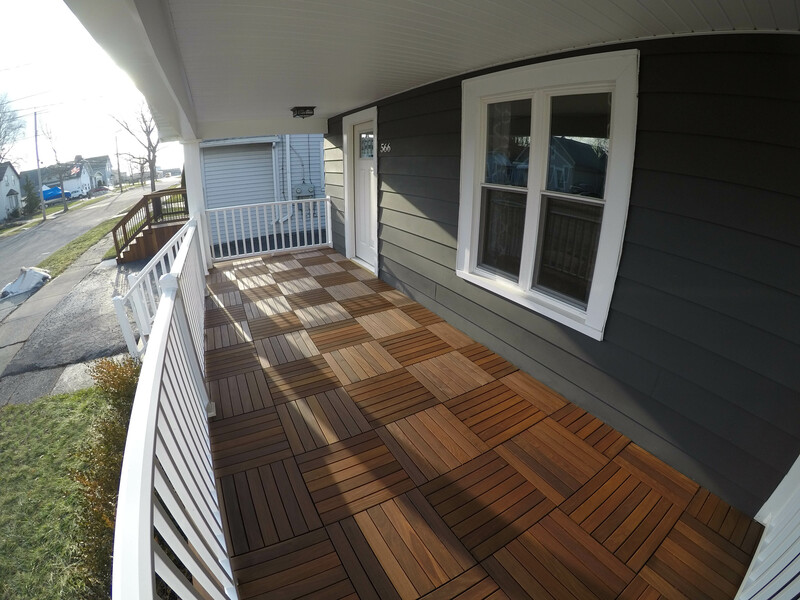 Introducing Deck Tile Edge Trim! We’re always listening to our customers, and over the past few months we’ve responded to your feedback by developing a deck tile edge trim system. 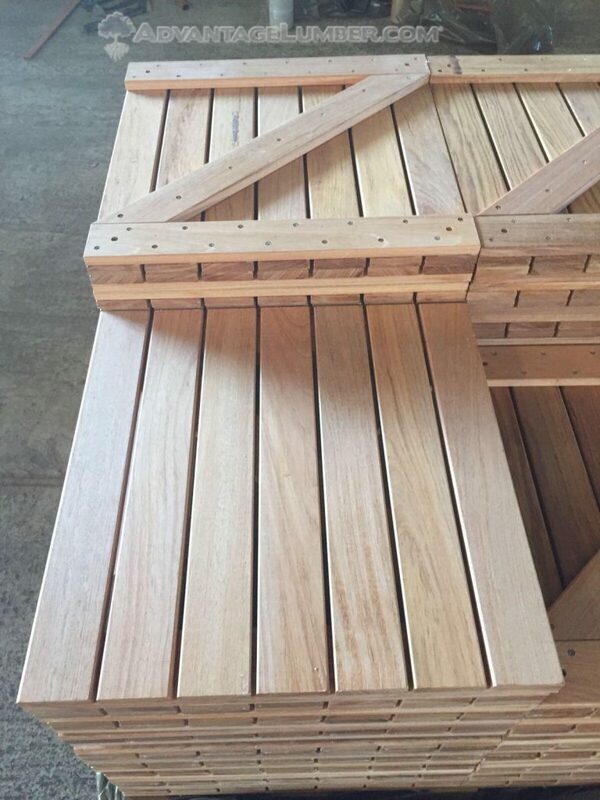 These edge trim pieces are made from the same hardwood (Ipe, Tigerwood, and Cumaru) as our deck tiles, boasting the same life span and termite resistance. 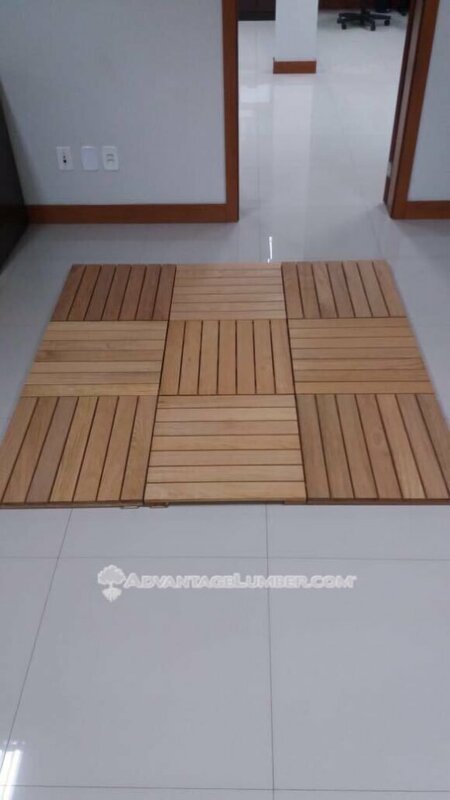 This entry was posted in Decking Tiles, News and tagged Deck Tile Edge Trim, Deck Tiles, Edge Trim for Deck Tiles on April 16, 2015 by Mr. Ipe Hardwood.